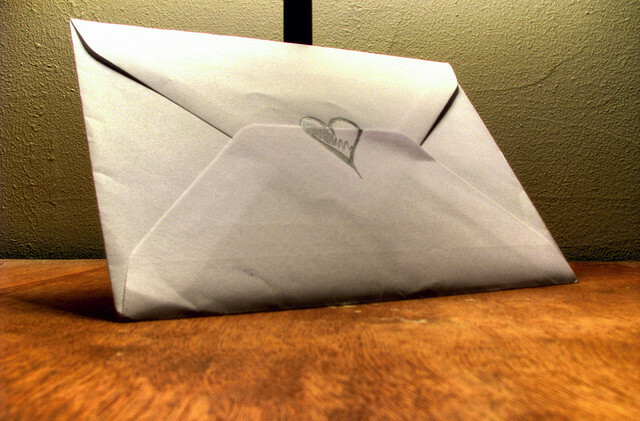 Several months ago, I wrote a letter to “the next guy I date.” It was a riff on those “letters to my future husband” that I used to write in high school (and, let’s face it, beyond). I enjoyed getting some of my thoughts down in black and white, and hearing many of you talk about similar letters that you wanted to write. Perhaps I shouldn't have been surprised that actual guys who were interested in dating me seemed to be able to find that not-so-recent post with an uncanny accuracy. They have read it as it was intended to be read: as a letter directly to them. But I’m not the girl I was when I wrote that letter. Many of the things I say in it are still true. But I have grown and changed. That letter was written by a different Cara than the one I am today. That’s why I’ve decided to write a new one, every now and then. I’d like to be able to look back and remember these different Caras (and the different guys who read each letter as if it was written for them, because it was). I hope you enjoy this process as much as I do. I’m learning that life is a journey. Some days, it’s all I can do to put one foot in front of another. On others, I’m practically skipping with enthusiasm. I haven’t yet been able to predict what is going to happen next. I hope you like to dance. I’m not talking about getting down in the club (or whatever it is people say these days). I’m just talking about you and me, gentle pressure at my back, my hand on your shoulder, the occasional spin. That would be nice. I’ve probably told you that I don’t like surprises. This is what I mean: I don’t want to disappoint you. I’m worried that you will plan something you think I’ll love, hoping that I will respond a certain way. I’m worried that I won’t respond that way and you’ll be unhappy. This has happened before. With some time, some trust, some getting to know each other well, I hope that we will both find ways to delight the other. Some of that will come as a surprise, I’m sure, and some of it we will plan together. Lately, I’ve been taking walks and spending hours in my hammock, being intentional about being outside. Some of the scars of my past are healing, in this and other ways. I’m not ready to hop in the car for a camping trip, but I won’t (always) say no to a hike. I have worked hard to cultivate a group of reciprocal friends. I am honest with these people about the details of my life, including you. They have walked with me through some hard things, they know my stories differently than you can (they were there). When I get scared, or worried, I will go to them. When I am jubilant and excited, I will go to them as well. They will either be your best advocates, or your worst critics, depending on you. I try to be kind, and I try to be fair, but I am a writer and I mine my life for material. You get to choose how I write about you. Please act accordingly. I know you’ve probably read a chunk of this blog. It’s always a risk to put a personal essay out into the internet. It’s all I can do sometimes not to purge my archives. I’m not the girls I once was, I don’t agree with everything I’ve said in the past. If there is something that concerns you, please don’t hesitate to bring it up. If you’re feeling generous and want to make me smile, I recommend baklava. I don’t know what kind of story we’re going to have. It could be short or epic, funny, tragic or bizarre, but I’m looking forward to living it, and to telling it.